Udaloy class destroyer Admiral Levchenko makes a north bound passage on Bosphorus on 9 May 2014. Photo: Yörük Işık. Used with permission. 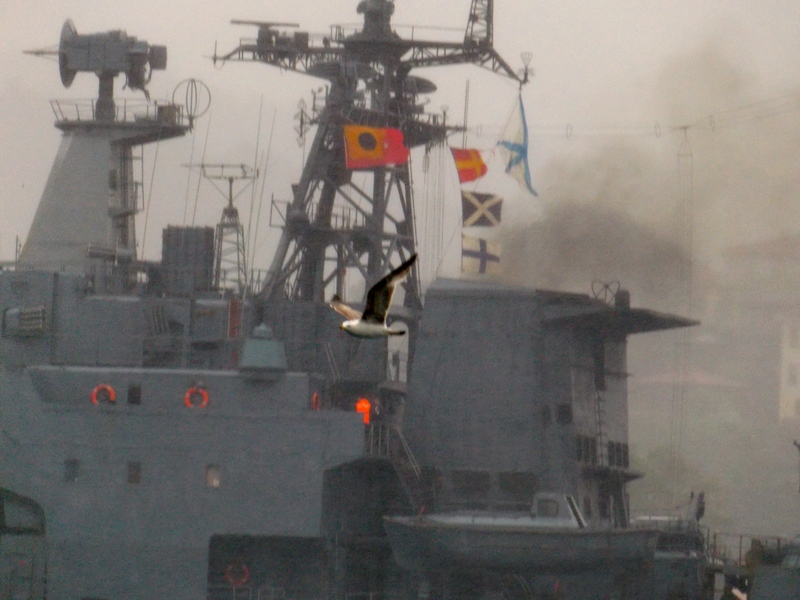 Yesterday, those who were lucky witnessed the northbound passage of the Udaloy class destroyer Admiral Levchenko. As all Udaloy class destroyer are stationed either in Northern Fleet or in Pacific Fleet we do not seem them often here in Istanbul. Admiral Levchenko is a Northern Fleet unit. That means she will soon make a south bound passage again. I hope I have more luck that time as I was never able to take photos of this class before. 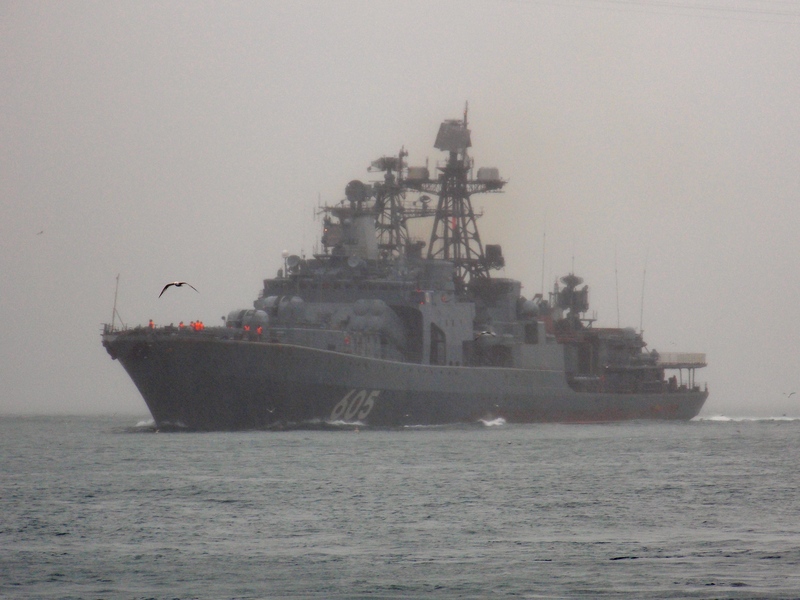 Ropucha class landing ship 142 Novocharkassk. Photo: Yörük Işık. Used with permission. And today we have seen the southbound passage of two Russian Ropucha class landing ships towards Syria. I have archived the list of the Russian ship movements in 2013. RFS Admiral Levchenko, of the Northern Fleet, will be first ship to undergo maintenance under a new support contract with Crimean shipyards. 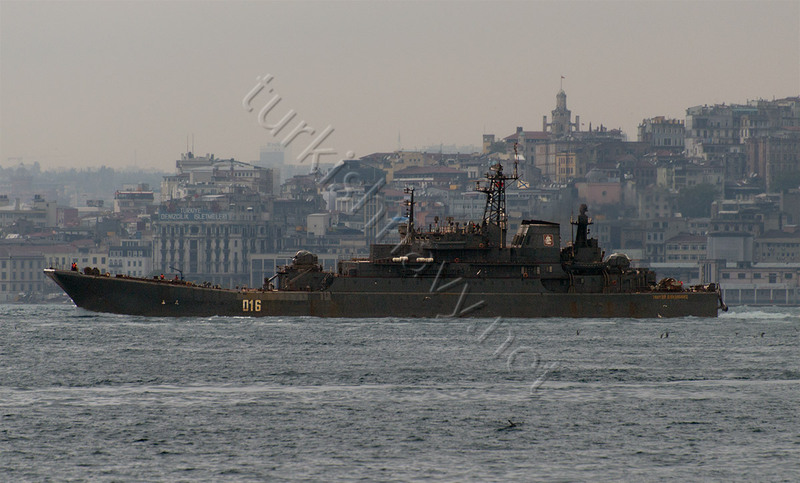 The Udaloy class destroyer transited the Bosphorus May 9th.